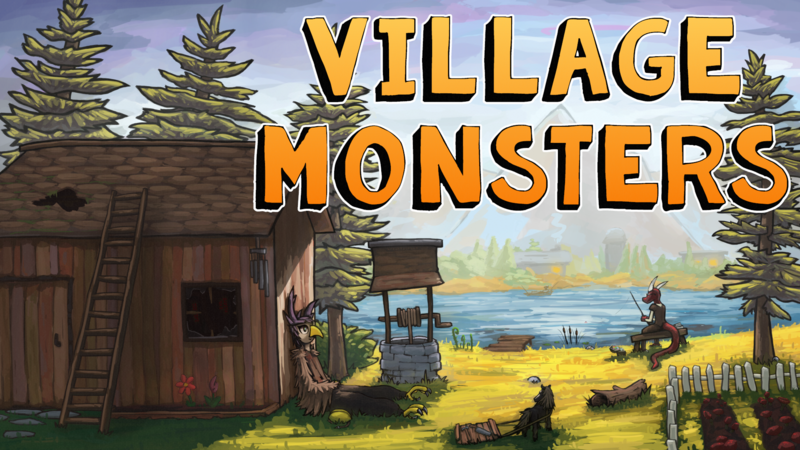 There's a lot to do in an average day in Village Monsters - activities range from as the mundane, like shopping or talking with villagers, to multi-stage quests, odd jobs, and even exploration. However, the most involved type of activity is called a Hobby. Hobbies are generally 'slow burns' that you'll work on each day, and they require effort, upgrading equipment, and leveling up skills. Thankfully, the rewards - like cash and items to donate, use or display in your home - are also greater than other activities. In the prototype you can actually play with two such hobbies: critter hunting and fishing. You've probably already guessed this by the name, but this hobby involves a lot of digging around. As you wander the village and surrounding areas you may find a digable spot in the ground marked by an obvious red "X" - you can then take your shovel to dig up whatever is buried there. Most of the time it'll be things that you'll want to sell off, but sometimes you'll get lucky and find rare treasures. You may even find the remains of ancient mythological beasts and other monsters that can be donated to the Historical Society, displayed in your home as a trophy, or sold to the very curious (and very insane) scientist that lives outside of town. But perhaps the best thing to find in the dirt isn't a treasure at all, but rather: a map! These special items are each the start of a unique treasure hunt quest that can span several days or even weeks in the game. Each hunt will require you to solve riddles, find specific landmarks, or explore long-forgotten ruins, and some may even require help from other townsfolk. The rewards are worth it, though: the treasure you find on your hunts will often be unique items with powerful abilities, like a book that can let you talk to ghosts, or a rod that can control the weather. One last thing! Not too long after starting the game you'll have the opportunity to get a dog companion. This pup isn't just for playing with, but is also able to help you out in various daily activities. I'm still working out the details with how this works with the other hobbies, but for Archaeology I'm leaning toward allowing the pup to find digable spots on his own and dig 'em up for you. Of course, he should probably fetch the items as well, but one step at a time, yeah?